​Ramadan Energy Bar is a unique blend of simple and complex carbohydrates designed specifically to maintain blood sugar for up to 9 hours, giving you energy all day. Its the ideal nutritional supplement for fasting. 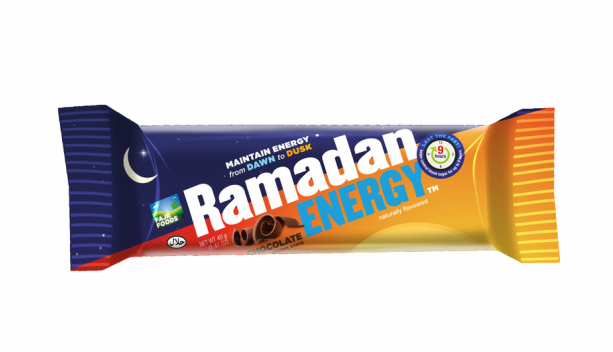 Our Ramadan Energy Bar is all natural, low in fat and is made with a rich, decadent chocolate flavour that not only tastes incredible but is conveniently available in easy, ready-to-go packs. This is the first ever protein snack bar designed specifically for individuals fasting during Ramadan.